Work from home benefits are many and well-documented (check here whether remote work is suitable for you). The advent of remote work has liberated us from the drudgery of the office cubicle, the overbearing manager and not to mention, the painful bumper-to-bumper commute. Probably the most appealing aspect of remote work is that it allows the remote worker to chase remote work and pay all around the world. This has become even more possible by the advent of borderless banking systems like Transferwise and Payoneer and other similar remote work tools. But before marking out all the pay hotspots for remote work, there are a few factors to consider when it comes to remote work pay. There are many factors that determine how much a company is willing to pay a remote worker. There are the usual determinants of industry, experience, skills, pay clout and reputation. A less appreciated pay driver in the remote work community is location. And not just between countries but between cities in the same country. 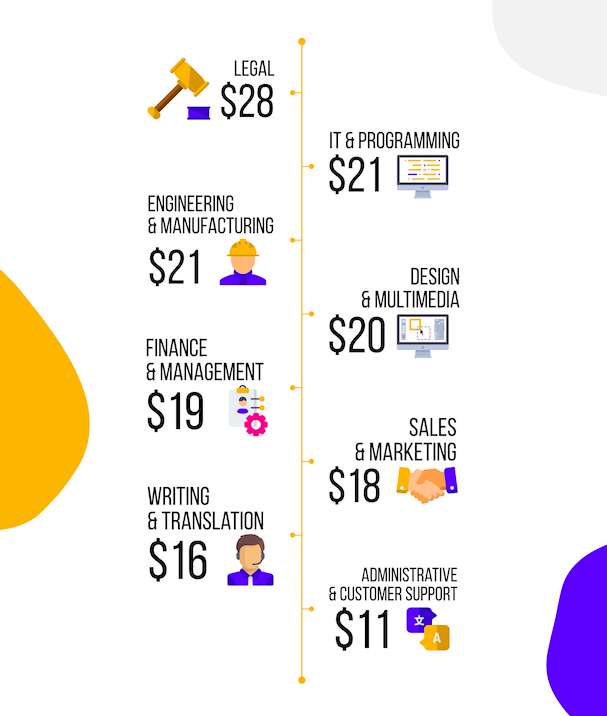 A web designer in San Francisco will attract a higher salary than a counterpart in say Miami, even though they perform the same job and deliver the same quality. Not fair, right? Isn’t remote work supposed to be about flexibility and smashing down barriers? Yes and no. It’s just economics. For example, the cost of living varies from city to city and country to country. And companies aren’t stupid. They do their research. They know all about the local pay rates or national minimum wages when contracting an international remote employee. So if you’re a remote work developer in Poland delivering work to a UK-based company, don’t expect to be paid the same amount of sterling as a British developer (in most of the cases!). But it works both ways. Companies love nothing more than engaging localised content to match their brand or target market. 👁️👁️👁️ Look inside the Remote-how Academy. Watch Free Video Lesson: Productivity Tips. How to be a successful and productive remote worker? A Dubai-based company looking to penetrate the East Coast market in the US, for example, might seek out a New York content creator to power their product or service campaign with an authentic, local voice or aesthetic. And guess what, that local copywriter or videographer will be able to demand the big bucks. Just like the trend itself, remote work statistics around income is still very much a work in progress. There’s not a whole lot of data out there. But we can still extract a lot of value from reports and surveys around the Gig Economy, such as The Payoneer Freelancer Income Survey 2018, which is derived from a sample group of more than 21,000 freelancers from 170 countries. 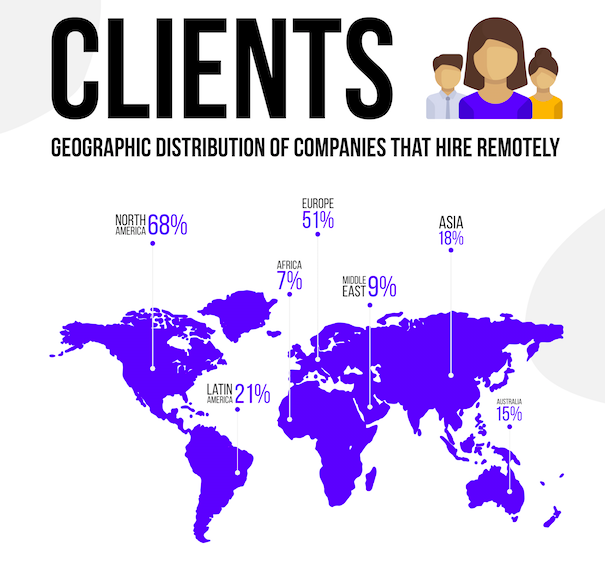 Where your remote employer is located? No surprises that most remote work is generated out of the mega-economies of North America and Europe. But expect Latin America and Asia (and potentially the emerging markets of the Middle East and Africa) to make some gains in the coming decades. China alone would be the one to watch. It’s official. Remote workers would be best served to target UK companies, with Canadian and American companies your next best shot. Just keep in mind that these figures are based on US dollars, so the landscape may look a little different now, given the recent fluctuations in the British pound. The legal fraternity was always going to enjoy the highest rates. Interestingly, there seems to be a large middle ground with rates generally even across the board, from IT & Programming to Sales & Marketing. Get access to 140+ video lectures on remote work designed by tutors from GitHub, Buffer and Stanford University.